Large Asscher Diamond Halo Bracelet. 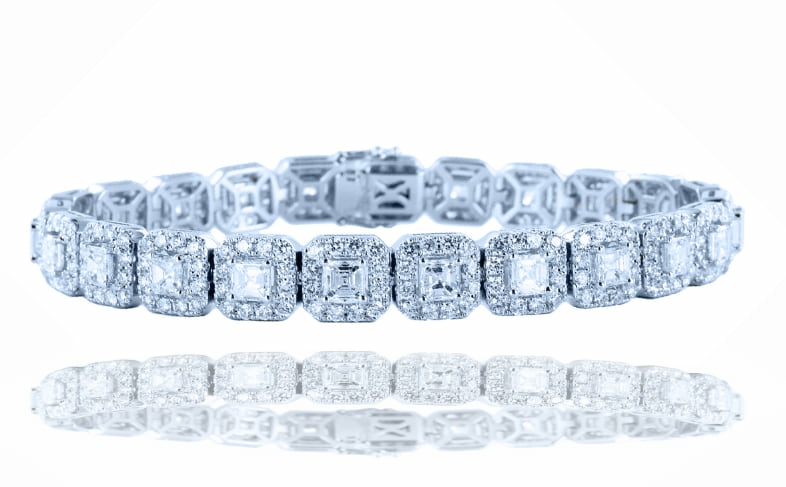 This important Asscher diamond halo bracelet is perfect. Each Asscher has a white color of G or better and a clarity of VS. Each Asscher is surrounded by white round brilliant diamonds that match in color and clarity. The bracelet is cast from 18k white gold and sized to 7″. Bracelets like this and may more can be found at our Newport Beach Flagship showroom, north of Laguna Beach, west of Costa Mesa.